Social networking video apps really need to be unique to gain traction in today’s crowded mobile market. Camu, released today by Sumoing, the makers of Repix, puts a fresh spin on the iPhone photo/video scene. With Camu, you can shoot either stills or video, and if you’re going to do video, shoot short because to film, you have to press and hold the video button for up to 15 seconds. For most video, short is better anyway. There are a small number of smart-looking filters available via swipe that you can set either before or after you shoot, such as Sunny, Roasted, Nostalgia, and more, including a soft monochrome black and white called Black. Variations on the photo theme let you split images for natural collages and shoot square for the Instagram look. Even after you shoot your photo or video, you can use the app to edit it by adding several styles of original text or built-in slogans in a choice of typefaces. Use the app’s controls to adjust the tilt of the image in the frame, which is not an unusual feature, but nicely done here making a rakish tilt easy and tempting. A focusing utility called Superfocus allows you to change the depth of field anyplace on the image after you take the shot. You use the pinch gesture to expand or contract the area of focus. You can also import photos from the camera roll to edit in Camu. Camu conveniently saves all photos and videos to the Camera Roll so you can access them through the app or from the iPhone’s Photos app. The app is built on top of messaging software that lets you share your video or still images privately or post them to social networks. You must have a contact’s phone number in your address book to share photo messages with them, or you can email photos and videos. 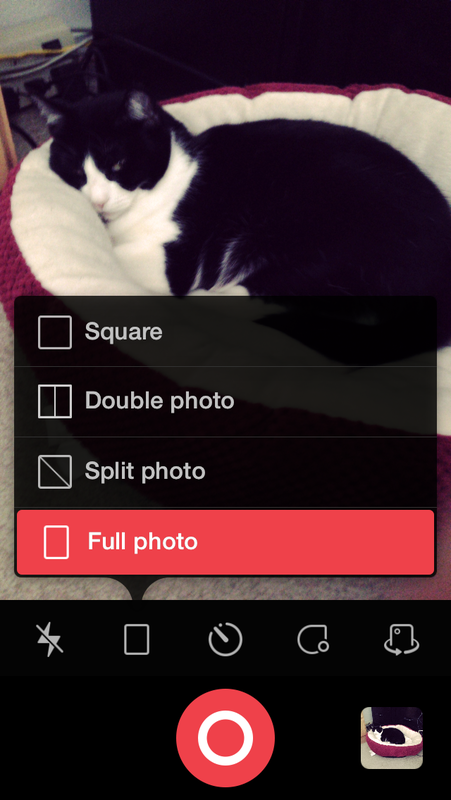 Little extras, like tuning the photo for Instagram sharing, make this a neat, compact free package. Camu is optimized for the iPhone and requires iOS 7. An Android version is also in the works.